Leaky gut syndrome is also known as gut hyper permeability and can be linked to conditions ranging from depression and allergies to irritable bowel syndrome (IBS). The inner lining of the human gut can be likened to a boundary wall, with the foreign substances (undigested foods, good and bad bacteria, chemicals, toxins) kept on the outside of the wall and our body’s army guarding the inside of the wall (our gut tube). While the cement and bricks of the wall stay intact, the army (our gut immune system) can stand at ease, as only the recognised 'safe' substances will be absorbed though the gut wall and permitted to cross the border. If there is damage to the boundary wall however, foreign substances can enter into the body territory alarming the army (gut immune system) to defend the body against the invader. In order to assist your body in defending its territories and knowing friend from foe, we urge you to support your body by studying the 7 Foundations of Health page and making it part of your daily living. Applying these 7 foundations of health EVERY DAY for 2-3 months, will increase the strength of your gut frontier and strengthen your army. 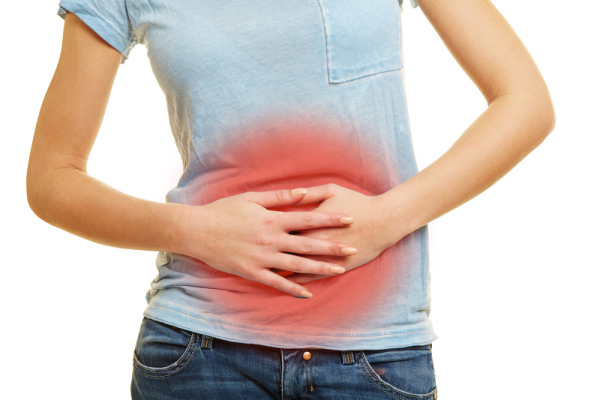 Once you have mastered the 7 foundations of health, we would like to teach you the 2 Pillars of Healing Leaky Gut Syndrome that we use at Optimum Care. Simply taking medication, anti-viral drugs or stimulants cannot heal the body. To improve health we need to treat the body as a whole to help it regain the best balance possible. The first step in doing this is to detoxify the system as a whole. Colocare : containing a specially balanced selection of healthy protein, prebiotic and gut healing agents. "All health and all disease begin in the gut"
1-3 bowel movements per day. Using a natural laxative, containing cleaning herbs like Aloe, Milk thistle, Senna leaf or Cascara bark to ensure the body is optimally eliminating unhealthy food, alcohol, gut irritating medication, unhealthy parasites, yeast, and gut micro-organisms from the body. LaxiCare contains the above herbs in ideal quantities to support healthy waste removal. Replace deficient or lacking digestive aids in your gut with digestive enzymes and HCL. Reinoculate the gut with healthy bacterial probiotic colonies (trillions of strains of different probiotic bacteria). Your existing probiotics are depleted by environmental toxins, age, antibiotic, steroidal and hormonal medicines, stress, excessive caffeine intake, and poor dietary habits. A good Probiotic provides essential benefits such as immune regulation, healthy small intestinal digestive function, weight control, energy production, hormone regulation, and relieving inflammation. L-Glutamine: (present in ColoCare ) heals the gut lining and improves intestinal functioning, improves immune cell functioning, protects against pro-inflammatory agents and is the building block of GABA, (gamma-amino-butyric acid) which is a natural calming neurotransmitter in the brain. Inulin: a prebiotic fibre that helps nourish beneficial bacteria in your gut. Medium chain triglycerides (MCTs): MCTs support your gut environment, especially since they have the capability to combat harmful bacteria, viruses, fungi and parasites. Additionally, MCTs contain antioxidant and inflammatory properties. ColoCare: A very good all in one product containing sufficient doses of the above mentioned supplements is ColoCare. It is scientifically formulated to support and strengthen the gut wall and ease digestive distress in patients from young to old. ​​The gut is the body’s biggest immune system organ; the body’s source of nutrition; and the second largest collection of chemically active nerve fibres, the enteric nervous system, or second brain. Digestive system disturbance and leaky gut syndrome have been linked to numerous, vast, chronic diseases and health complaints. This is because practically any organ or body tissue can become affected by food allergies created by a leaky gut. A leaky gut can also hamper the body's ability to absorb vital nutrients. This condition is growing in prevalence and severity as more people world-wide are affected by poor dietary choices, chronic stress, chemical and toxin overload and bacterial imbalance. let thy medicine be thy food"
​​​​Leaky gut syndrome, also known as, intestinal hyper-permeability, occurs when damage to the intestinal mucosal lining, causing leaks in this protective filter allowing undigested food particles and other potentially harmful compounds (e.g., bacteria, toxins, waste) to enter the blood stream through gaps (gap junctions) in the damaged cells (called desmosomes) or malfunctioning tight junction between cell, that normal function to form the barrior and control what passes through a healthy small intestinal wall. These food particles in the blood stream are seen by our immune system, seventy percent of which is housed in the gut (Gut Associated Lymphatic Tissues (GALT), as foreign invaders which trigger the release of protective immune compounds to fight against the undigested “foreign” food particles. This can trigger digestive and other symptoms, such as bloating, gas, bowel irregularities, increased food sensitivities, and compromised metabolic detoxification. The gut is the body’s biggest immune system organ. These immune compounds can result in pro-inflammatory signals throughout the body that may lead to the development of other chronic conditions. The immune compounds also circulate in the blood stream attacking all compounds similar to the invading food particle. The human bodies own tissues are attacked in the case of autoimmune conditions where the immune system defends the body against its own tissue which have similar compositions to the food it is mounting the immune response against. This causes increase in inflammation and pain. Gut repair and having a healthy gut environment can improve health, heal a multitude of health complaints, prevent disease and increase vibrancy and quality of life.